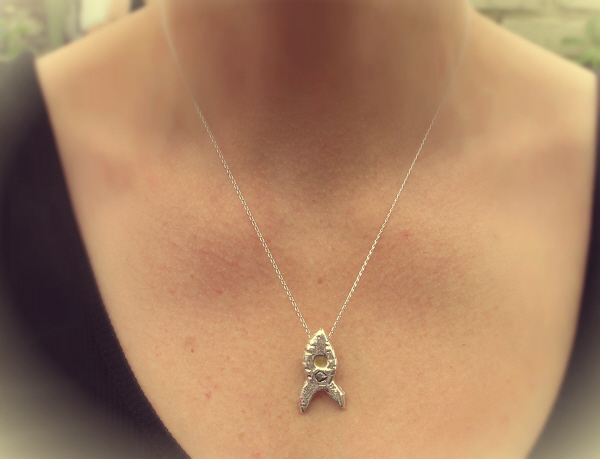 This is a super new piece of jewellery. 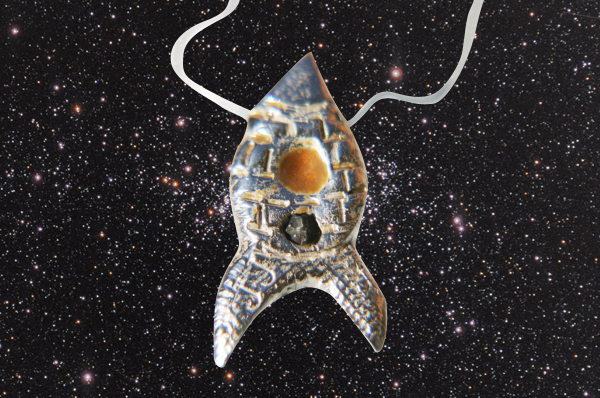 It is a solid silver spaceship - set with a fragment of iron Campo Del Cielo meteorite and also an enamelled window. 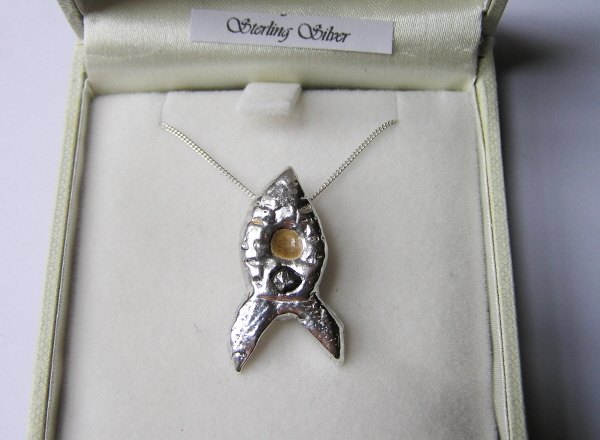 It is strung from an 18 inch solid silver curb chain.